Volvo customers can now enjoy the seamless Apple CarPlay integrated experience along with the other latest applications on the XC90. This unique integration resulted from the human tech design concept followed by Volvo that places people at the focal point of technology development. Customers can now use the rest of the infotainment applications without moving in and out of the seamless CarPlay application to enjoy a perfectly integrated experience between iPhone, Sensus Connect and car’s functions. The XC90 and recently announced S90 sedan already possess an award winning interface for their users which is now enhanced further by the integration with Apple CarPlay, as commented by President and CEO, Volvo cars, North America, Lex Kerssemakers. 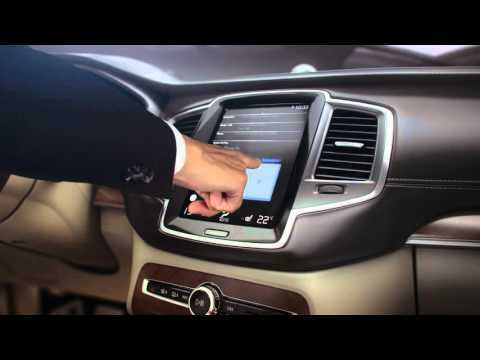 The touch-screen flexibility through Sensus Connect allows easy updating of software and customers can add their own features after purchasing the car. Thus, Volvo lives up to its long term commitment of customer satisfaction. Besides, the XC90’s remote update on-board service includes other software update facilities like Pandora, Find Parking apps and Yelp. All the applications are individually adjusted according to the Volvo Sensus system, thus creating a minimally distractive driver ambience via the touchscreen, voice and steering wheel controls. There is also the provision for receiving updated navigation maps, INRIX traffic information and enhanced speech inputs. If any of the XC90 buyers have taken their car’s delivery before 23rd November, 2015, they can contact their local Volvo dealer for their CarPlay complimentary update. Customers who are getting their car delivery after this date may buy CarPlay application from their local retailer for $300. There is a courtesy update of Pandora, Yelp, Find Parking, HERE maps and INRIX for all XC90 customers. Volvo Cars North America, LLC acts as a subsidiary of the Volvo Car Group of Gothenburg, Sweden. It offers sales, marketing, service, parts, technology and training to all Volvo retailers in the United States. Customers can now enjoy Volvo’s integrated Apple® CarPlay experience, along with other new applications, on the all-new XC90. Volvo’s human tech design approach, which puts people at the center of technology development and integration, resulted in a truly unique CarPlay integration. It allows use of other vehicle and infotainment functions without needing to jump in-and-out of the CarPlay application for a seamless experience between the driver’s iPhone®, Sensus Connect and the car’s functions. In addition to CarPlay, the available software update includes Pandora, Yelp, and Find Parking applications via the XC90’s in-car remote update service. Each application is tailored to the Volvo Sensus environment, providing an ideal interface that minimizes driver distractions through the car’s steering wheel, voice and touchscreen controls. Owners will also receive updated HERE navigation maps, real time traffic information via INRIX and improved speech input and performance. XC90 owners who took delivery of their vehicle before November 23, 2015 can schedule an appointment at their local Volvo retailer to receive a complimentary CarPlay update. Customers receiving their vehicle after that date may purchase CarPlay through their retailers for $300. Available applications such as Pandora, Yelp, Find Parking, updated navigation maps and traffic information are provided via a courtesy update for all XC90 customers.